The Travellers Rest is a friendly and welcoming pub in Whitestone on the old A30 on the outskirts of Exeter. It offers a varied menu with a renowned Sunday carvery as well as a great selection of beers, real ales and spirits. The pub also boasts a beer garden and large car park. 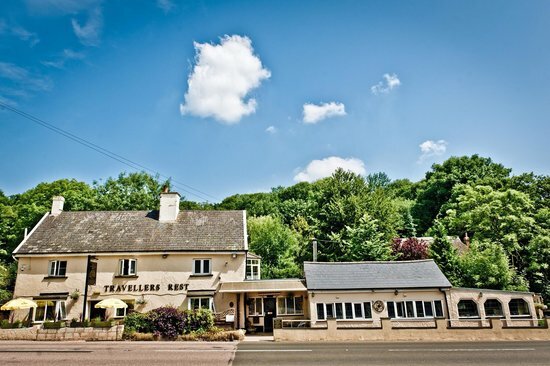 The Traveller’s Rest is an award-winning and popular roadside pub four miles to the west of Exeter close to the village of Whitestone. The pub is spacious with two large, interconnected trading areas and also benefits from large external areas including two car parks and a garden. This opportunity would suit an experienced, food-driven operator who has the energy and retail standards necessary to build upon the pub’s historic success. There is private accommodation above the pub including three spacious bedrooms. Ingoings are expected to be in the region of £40k to include inventory, deposit, stock and working capital. To find out more about this exciting business opportunity please contact Hugh O’Rourke, Tenanted Operations Manager, on 01392 217733 or email hugh@heavitreebrewery.co.uk.